The Federal Bureau of Investigation executed a search warrant on the home of Manuel Alfaro, former executive director of assessment design and development at the College Board, which develops the SAT, an aptitude test for college bound high schoolers, according to a report by Reuters. Alfaro, who left his job developing parts of the SAT in February 2015, has been a vocal critic of College Board. It’s unclear if he is related to the massive leak of SAT test questions that Reuters uncovered earlier this month. Alfaro had contacted officials of seven state governments in recent months, accusing the College Board of making false claims about its tests when bidding for public contracts with the states. 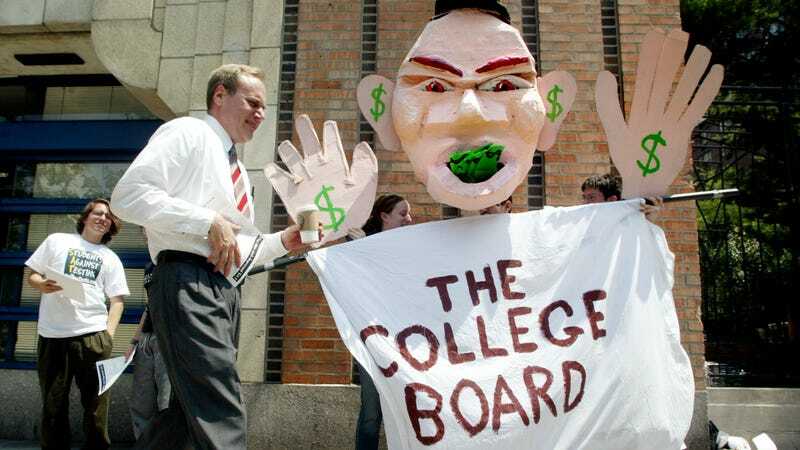 The College Board, he alleged, misled the states about the process it used to create questions for the new version of the SAT, resulting in an inferior exam. He also aired those allegations publicly, largely through postings on his LinkedIn account. The FBI seized “computers and other materials” from Alfaro’s home. We’ve reached out to Alfao and will update this post if we hear back.